who focuses on full-blown experience at your event. Using interactive theatre improvisations approaches in his delivery, Hazriq Idrus creates high energy & unique presentation to deliver an insightful & powerful message to the audience; presented in a way they will never forget. effect of Hazriq Idrus has on the audience by watching the videos. your inner creativity to get you unstuck and move forward." Click here for more reviews & testimonials. 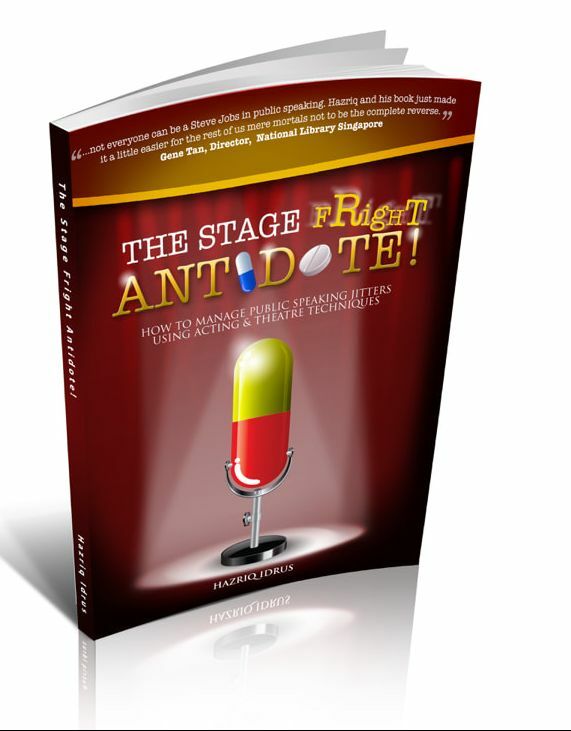 To date, Hazriq has authored "The Stage Fright Antidote!" and co-authored 4 other self-help/business books. Click on the button below to find the information of the books.